The years spent in university are often said to be those where we first come face-to-face with the “real world”, characterized by a transitioning period from teenage angst, to even more angst, to grappling with who we are and, finally, shaking hands with the real world as the person we want to be. A myriad of experiences will come together to shape us into this person. It does not happen overnight, nor will it happen easily, but each of these experiences is vital in challenging us to discover who we really are. And these people who have left their mark, despite challenges, are all around us. Some write about it, some talk about it, some wait for the right moment before discussing it at all. McMaster University is the home to a plethora of individuals with such stories. But the story of Lisa Pope is one we are privileged enough to share with you, and, in fact, it’s not so much a story as it is an invitation to challenge yourself. 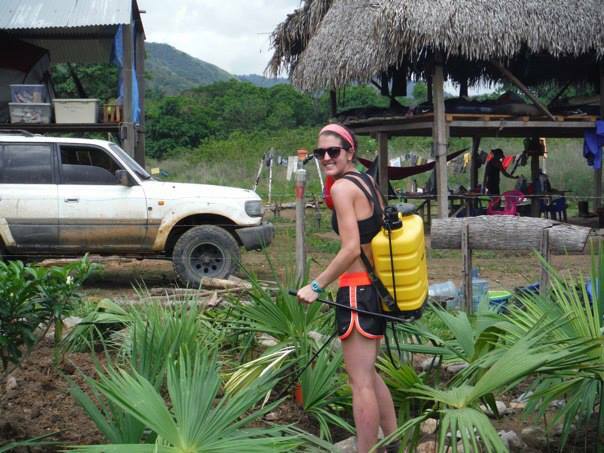 Lisa Pope, a graduating Honours Life Sciences student, dedicated her summer to the Kalu Yala Independent Study Abroad and Entrepreneurial Internships in Panama this past summer. Drawing people from across the world, Lisa was one of the only individuals from Canada. This diversity, however, encouraged the integration of distinct ideas that could build towards the common goal that was uniting them all: the creation of Kalu Yala, and thus developing the world’s most sustainable town. Crohn’s disease is an inflammatory bowel disease, where those affected are subject to severe abdominal pain, bowel disruptions, and even malnutrition. Given the strenuous nature of this program, another set of challenges could appear more repellent than enticing; instead of allowing her symptoms to hold her back, Lisa used her pain as a catalyst for unparalleled personal growth. “I’m 23 years old living with a chronic disease and it’s something that’s never going to go away,” said Pope. “At this point, you decide to live your life or not, and this was my summer to do that. I decided to go and be in control of my disease.” In a location far removed from any Western world comforts or distractions, Lisa delved into a project that would eventually lead to a 75-page document, building a vast medicinal garden with her own hands, and leaving behind her own mark in a community that will forever leave an indelible imprint on her. 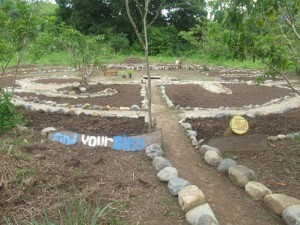 By planting over 300 different edible species of plants and trees, the impact her project will have upon the community in ten, or even five years, is momentous. Approximately 150 people will be fed daily as a result of her own hardships and hard work. And yet, perhaps the most striking message Lisa has taken home with her is not only the acceptance of failure at Kalu Yala, but also the desire for it. “We love to fail at Kula Yala,” Pope said. Coming from a Science degree, where marks are snatched up without a second thought for any mistakes, and there is no gray area between the black and white of correct or wrong, this was a breath of fresh air. To fail was to succeed, and this paradoxical message can resonate with most students as wholly liberating. With failure, the members of Kalu Yala would not look at such a position as the defeated finish line, but rather an opportunity to start again, and allotting their knowledge of what won’t work as a propelling force towards success. In an eight-hour day, with four spent in the morning working alongside a director of the team, and the afternoon dedicated to the dirty work, there were three unmistakable qualities of the interns at Kalu Yala Independent Study Abroad and Entrepreneurial Internships: passionate, positive, and pursuing. Lisa Pope is an embodiment of such qualities, and although her self-proclaimed “invisible disease” has inevitably placed a series of unforgiving obstacles in her path, these qualities are in the foundation of the new path she’s building herself. Every path a student will take in university is distinct from the next, and the obstacles just as varied, but the lesson to be taken from Lisa Pope and Kalu Yala is that no challenge can act as a barrier to leaving your mark in the world, but that challenges are forces that will leave your mark even more palpable. Miranda Babbitt is a perpetual pinterest-er, ardent foodie, and identifies with foxes as her spirit animal. She aspires to be an architect/psychiatrist, but will gladly settle on being a nomad traveller.